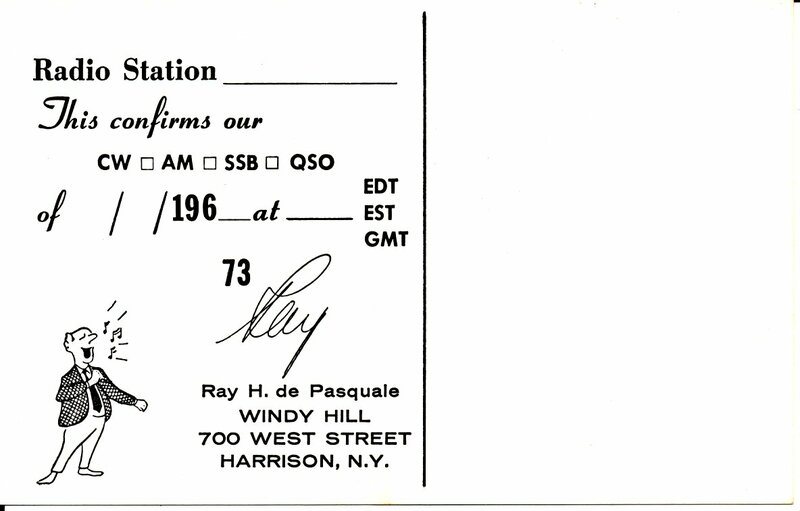 TMC's roots lie in amateur radio, and many of its employees were hams (including Ray de Pasquale himself). 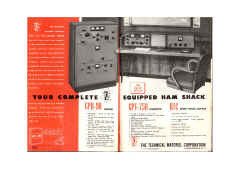 The company had ham shacks at several of its plants and offices, including one at the Florida sales office, and of course a shack at 700 Fenimore, the home office. 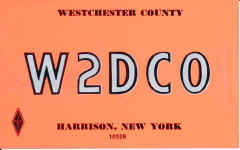 Below are photos of some of these installations. 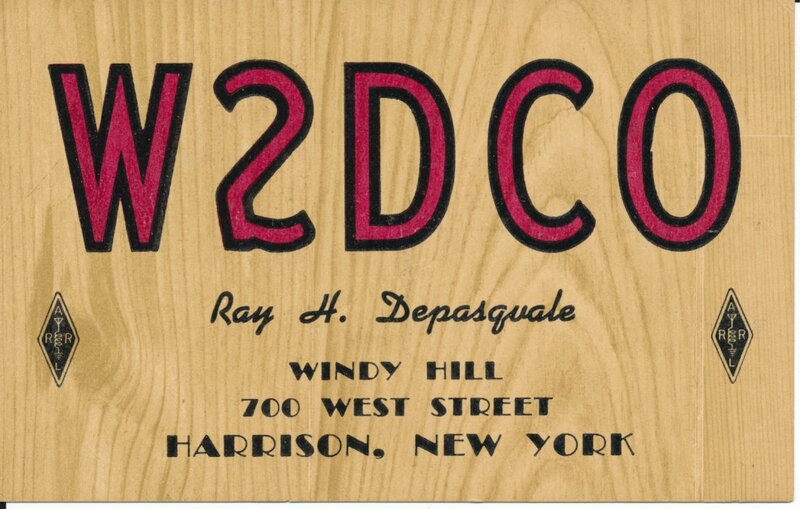 Ray operated under the call W2DCO at least during the TMC years, but he was a ham throughout his youth. 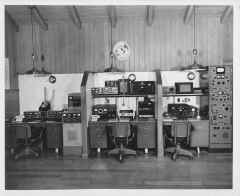 Amateur radio served as a way for Ray to teach himself the art and science or radio, and it's clear that he built much of his own equipment. 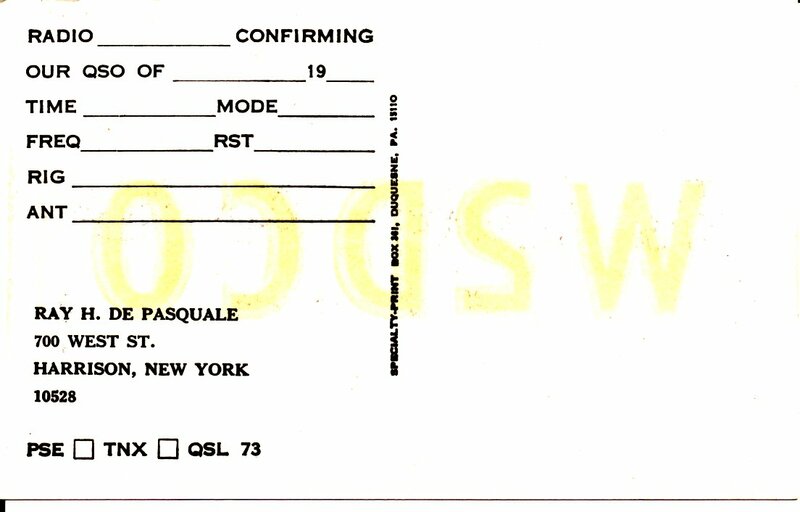 Below are three QSL cards kindly provided to me by Neil de Pasquale. The left-hand card is obviously earlier (from the 50's) and the right-hand one is later (60's). 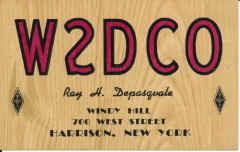 The right-hand card displays Ray's shack at his home in Harrison. 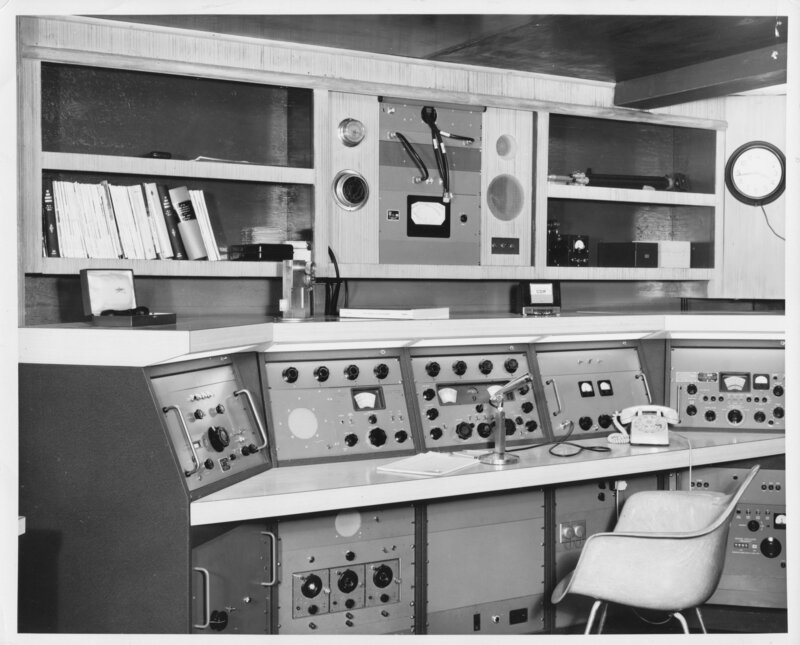 Note particularly the rack-mounted home-brew transmitter at the right. 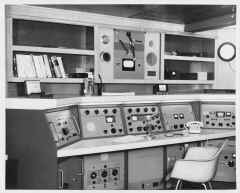 Sadly, this rig doesn't seem to have survived, and I have no information on it. 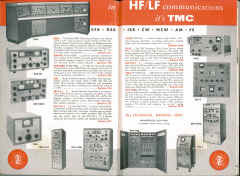 It would be very interesting to study its technical details! 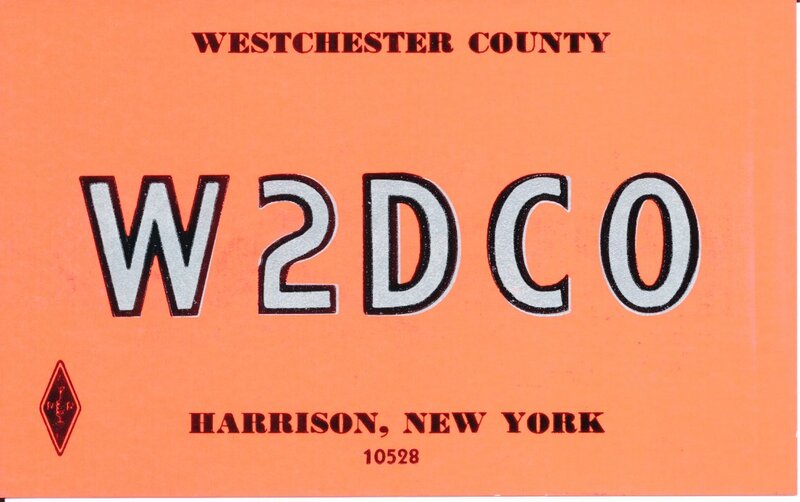 QSL card for company-maintained station K2MXL, located at 700 Fenimore Road. I believe that may be Bill Deans W2AZA at the operating position. 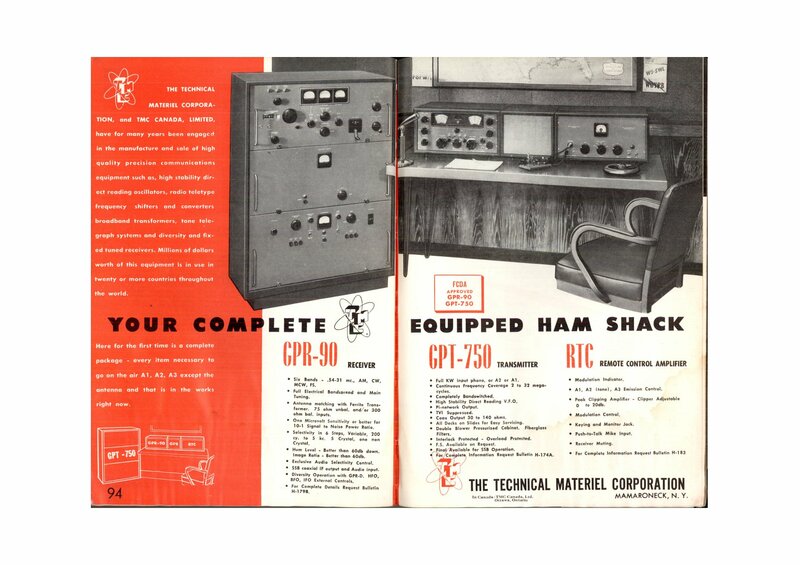 The following table displays some other photos of ham shacks that turned up in the company photo archives. 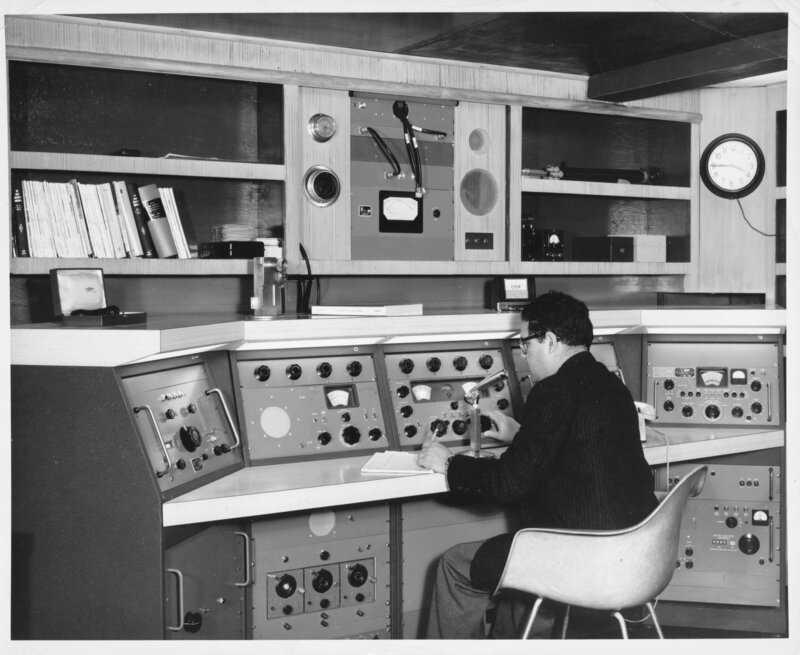 I'd be very grateful for any help you can provide identifying the place, year, and people in these photos! 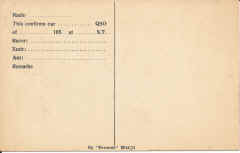 599.8-1. 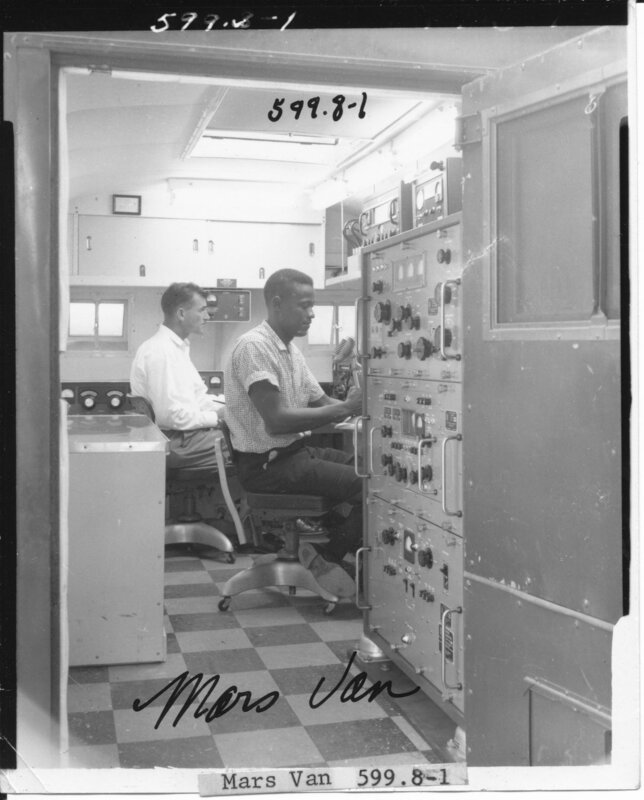 Interior of "MARS van". Note GPT-750(C) in front, 32V-2 and Station Control on shelf, and 30S-1 on floor in rear. If you know anything about the MARS van, please send me info! 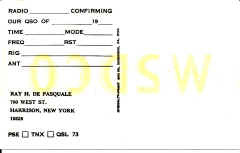 599.8-2. Same folks, different position. 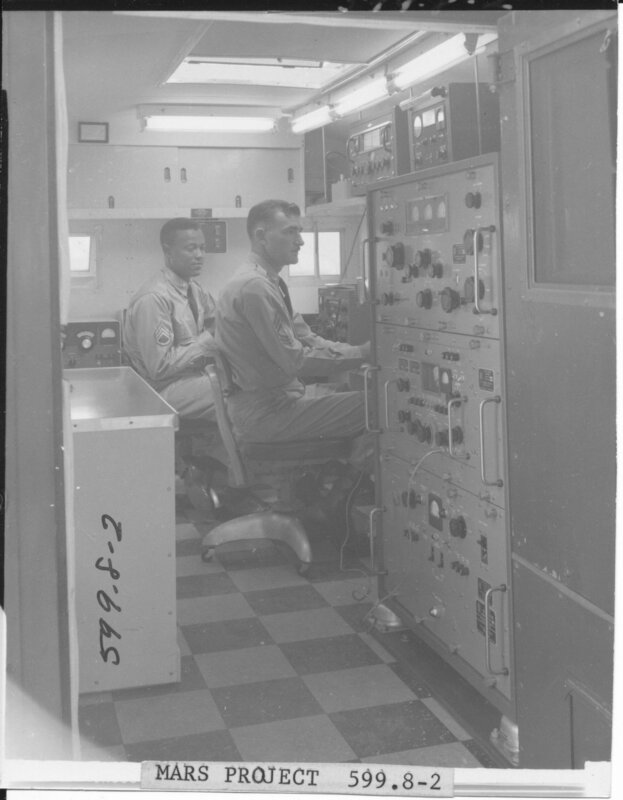 If you recognize either of these guys, please send me info! 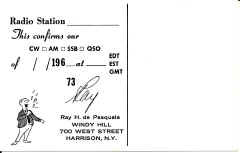 599.9-3. 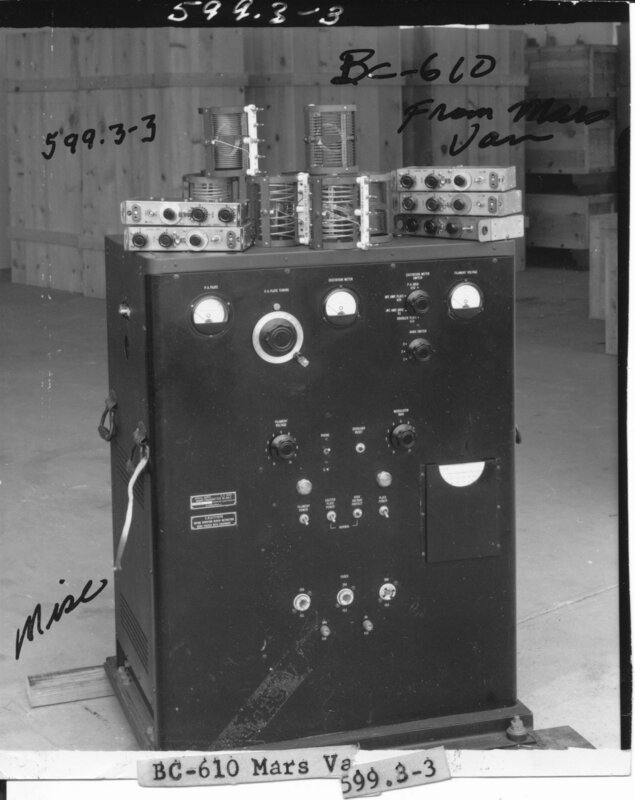 BC-610, evidently part of the equipment set in the MARS van. 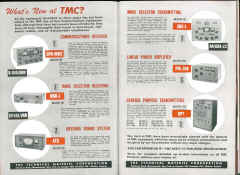 From the mid-50's until the 70's, TMC took out advertisements in various amateur radio publications. 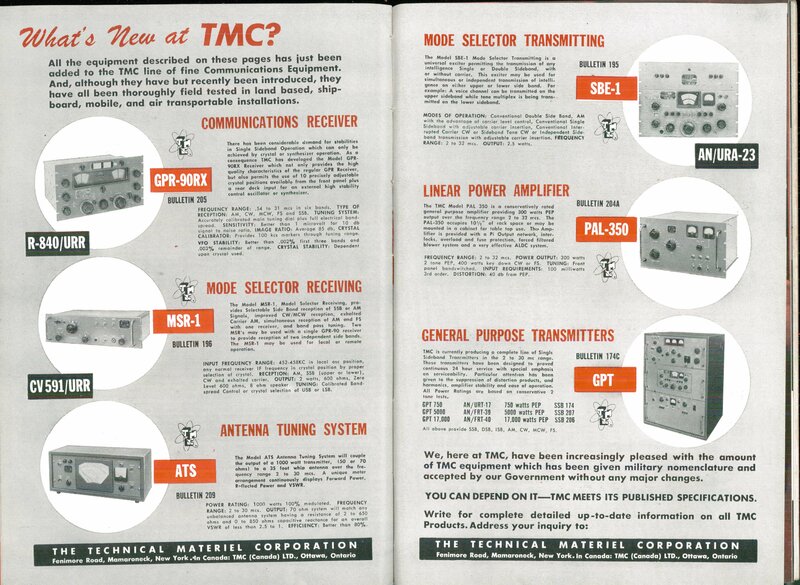 TMC's first ad in the Advertiser's section of the Handbook showed up in 1956, and featured the GPT-750 and recently introduced GPR-90 show in a console with its matching speaker and and RTC controller for the transmitter. 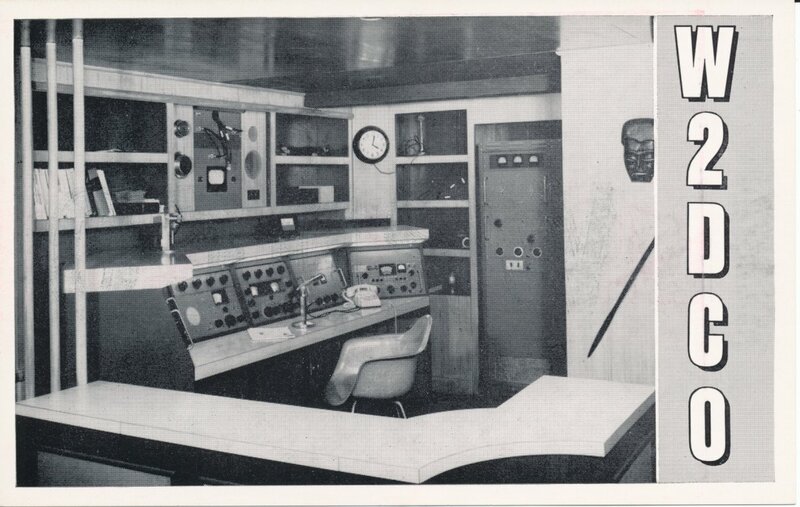 Any ham would have been extremely luck to have this station, but TMC probably sold very few GPT-750's to individuals. The company took out a massive multi-page ad in the '57 handbook; click here for a PDF of the entire ad. 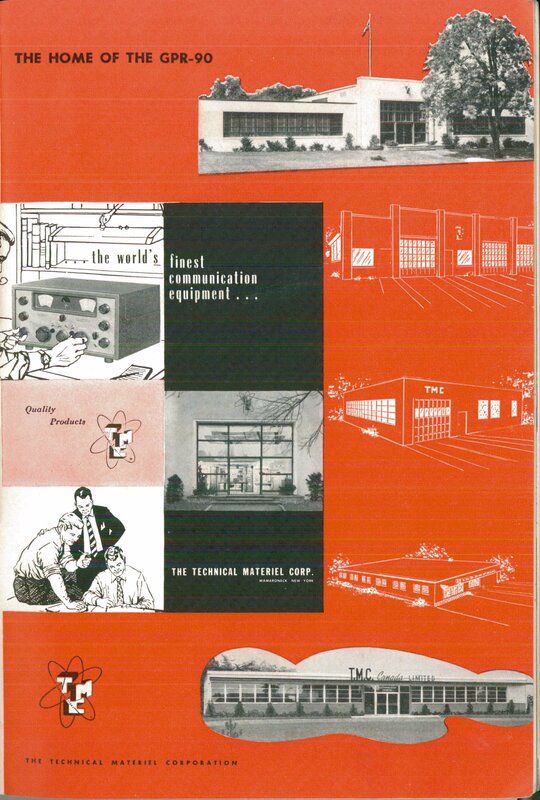 This ad featured drawings and photos that also show up in the company's full line catalog of the same year. 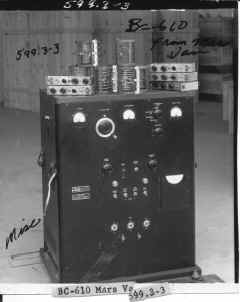 The GPT-750 and GPR-90 were the centerpieces of amateur equipment. 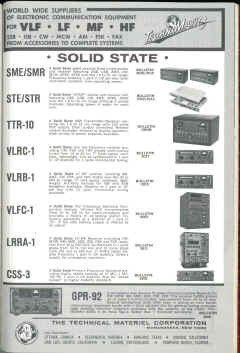 This two-page ad introduced the SBE (transmit) and MSR (receive) SSB units, and the company's excellent ATS antenna tuner. 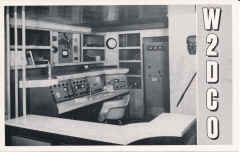 The PAL-350 appeared in an ad for the first time here. 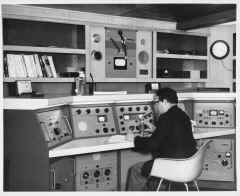 This year, the company concentrated only on the SBE-2 and GPR-90. 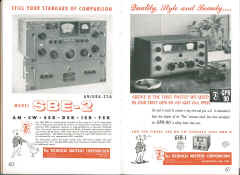 It's not obvious how a ham would have made use of an SBE, since it requires a VOX/PMO as a signal source, and it must have been fabulously expensive as well. This two-page ad, which features the GPR-90, and the newly introduced GPR-90RX along with the GPT-750 introduced the new SBT-1K and SBT-350 transmitters, along with the GPT-10K and accessories, along with the VOX and XFL (FSK exciter). This ad appeared unchanged for the next couple of years. 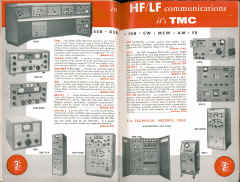 The handbook ad finally changed after several years. 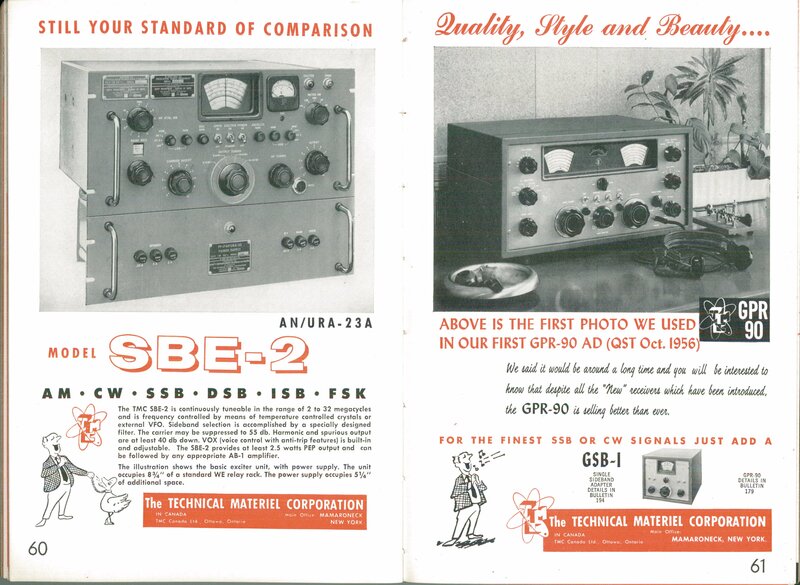 This ad introduced the TTR-10/40 transistorized SSB transceiver, and the new GPR-92 receiver. 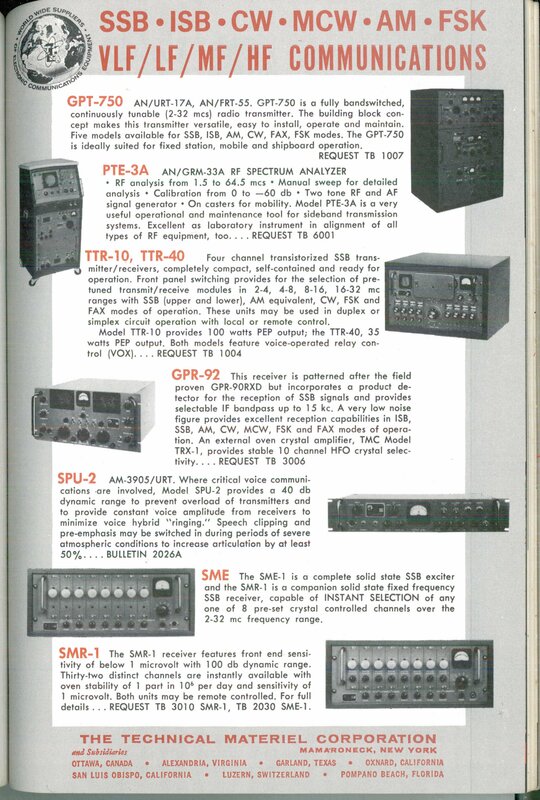 It also lists the DAC and TRC antenna accessories, which would have been quite useful to most hams, but probably far too expensive, except for the very well-heeled! 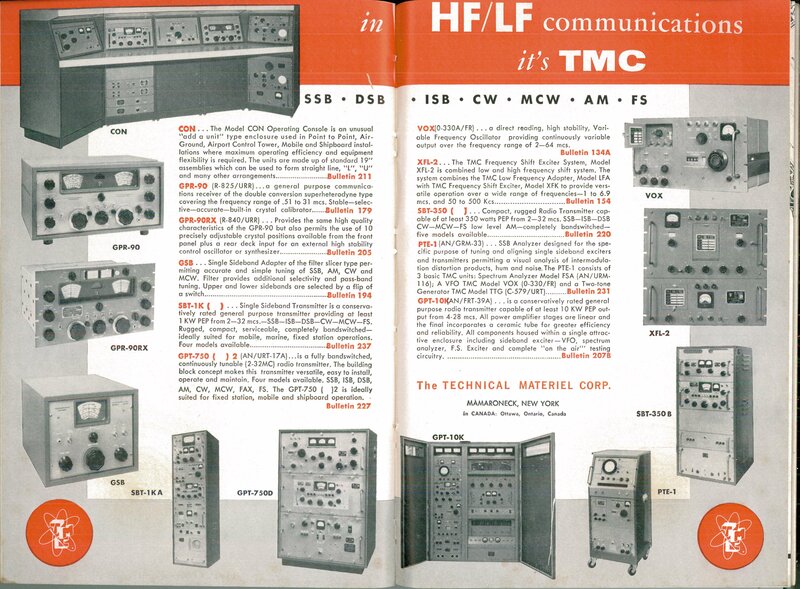 Amateur sales can have hardly made a blip on TMC's bottom line, and evidently this was becoming clear, as the company dropped down to a single-page ad in this year. 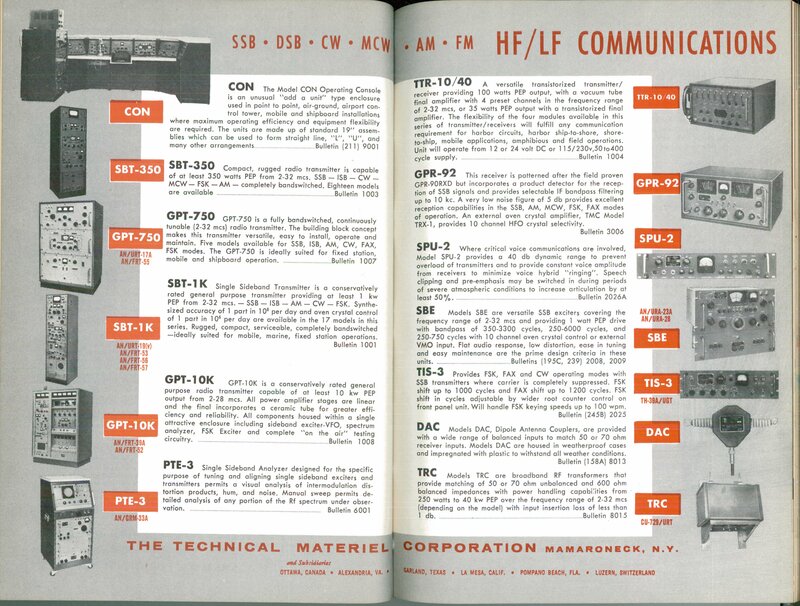 In addition to some of the equipment in the '63 ad, this ad shows the SME and SMR fixed-frequency exciters and receivers. 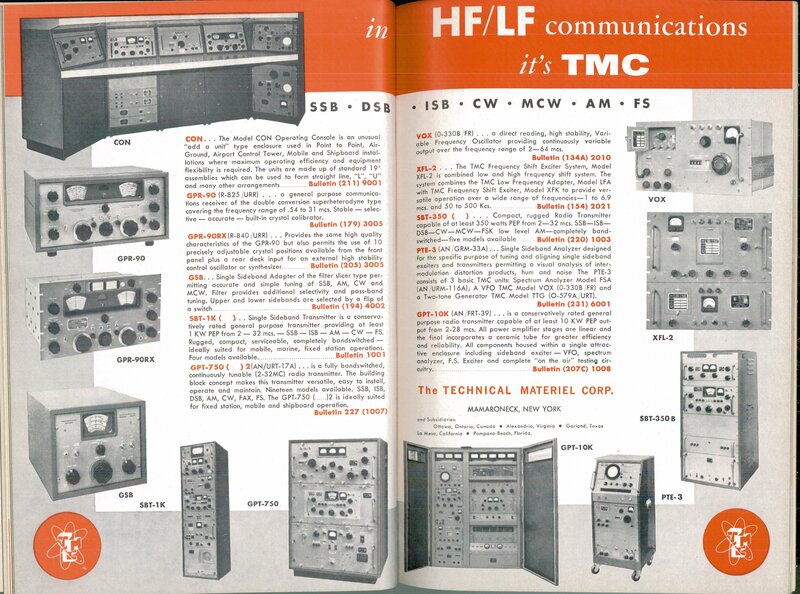 This year's one-pager features the GPR-92 prominently at the bottom of the page, but seems to be intended to reinforce the idea that TMC was indeed building solid-state equipment. 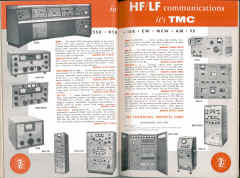 The company's fortunes were taking a bit of a down-turn in the late 60's, so no TMC ad's appeared in the Handbook again until 1970. 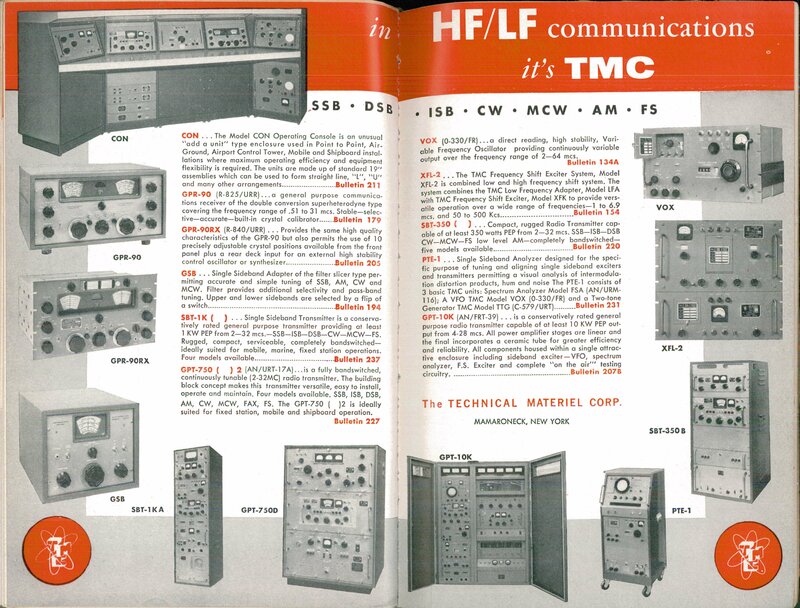 I believe this is the last Handbook ad that TMC published. 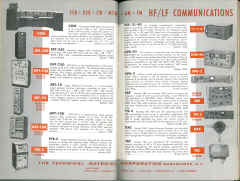 Within the next year or so, the ARRL dropped the Advertiser's section altogether, in any case. 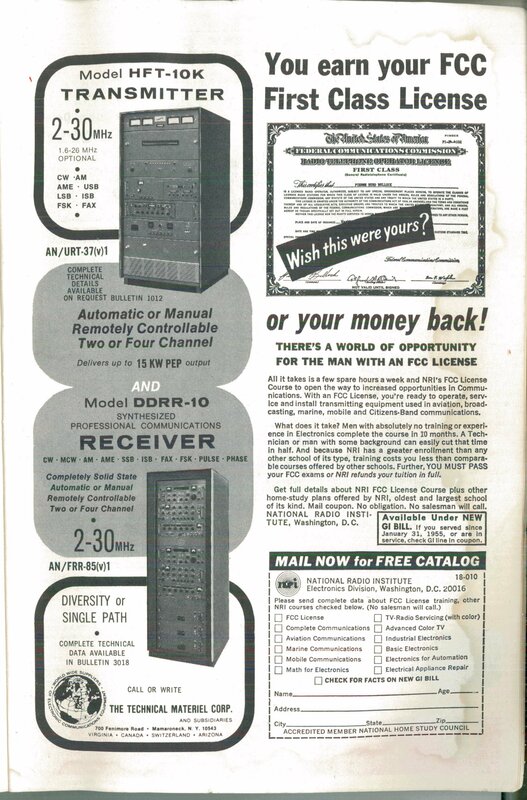 This last ad shows the new, mostly solid-state HFT-10K transmitter that replaced the GPT-10K series, and introduced the DDR-10 (actually, the remotely controlled DDRR version). 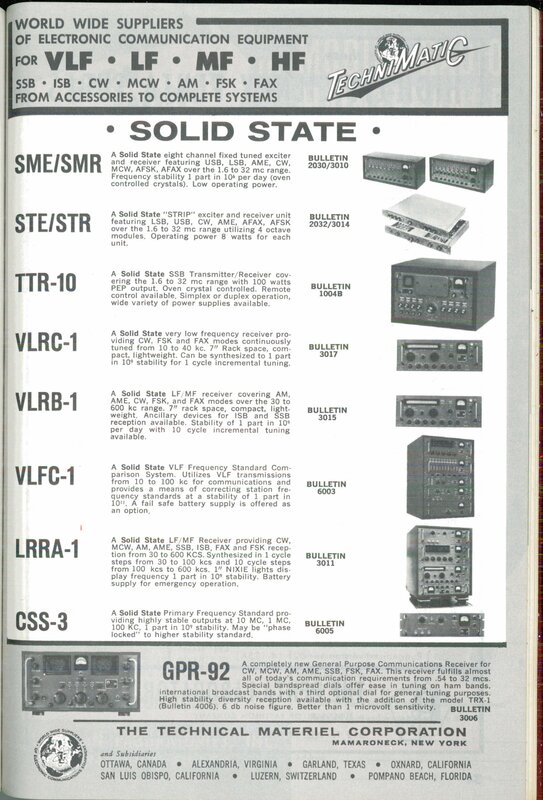 Evidently the idea of marketing a table-top version of the DDR-10 (the GPR-10) had been dropped by this point, as it doesn't appear in the ad. 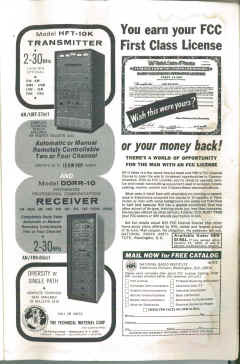 To save money in their stretch financial condition, this ad is only a 1/2-page.